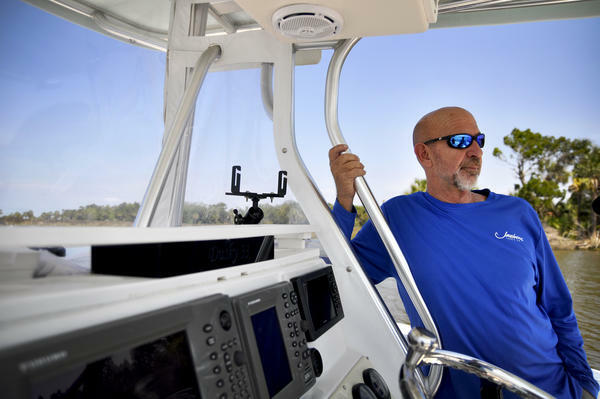 Captain Bill Phillips, a Yankeetown fishing guide, believes sea-level rise and climate change are affecting his catch. 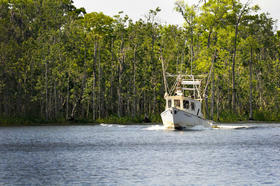 Fisheries are an important economic engine in the area. 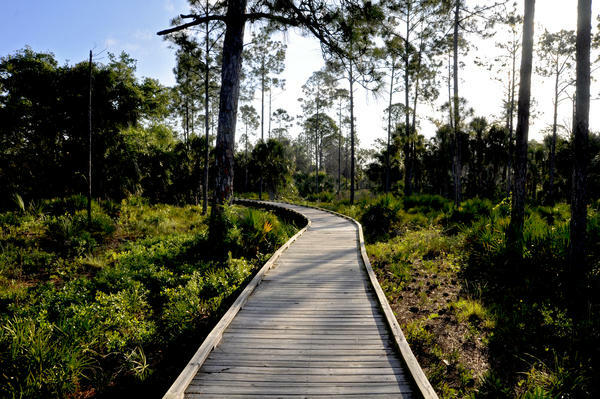 The Withlacoochee Gulf Preserve offers some of the best places in the world to see the effects of sea-level rise and climate change, according to scientists working in the area. This report, part of an FCIR series on climate change, was produced in partnership with WMFE, the NPR member station in Orlando. The Florida Center for Investigative Reporting is a nonprofit news organization supported by foundations and individual contributions. For more information, visit fcir.org. YANKEETOWN, Florida – While Florida state government bans the terms “climate change” and “global warming” in official business, this coastal fishing village of about 500 people and more water than dry land is being swallowed by the sea with almost no public attention or concern. But town officials here are fighting back with some success. Every few minutes a tide gauge takes another measure of the dramatic change facing Yankeetown, situated near the Florida peninsula's northwest corner, where the Withlacoochee River flows 141 miles north from Central Florida's Green Swamp into the Gulf of Mexico. The gauge is inside a weathered PVC pipe screwed into the wood piling of a tiny tin dock at the end of a trail in the Withlachoochee Gulf Preserve. The fishermen and kayakers who use the dock don’t notice the instrument. A University of Florida student monitors information it records, comparing the data to that collected by a National Oceanic and Atmospheric Administration gauge located just up the coast in Cedar Key. The data shows the sea level here is rising seven inches per century, about the global rate, and the rate is accelerating. The signs of change are visible everywhere, most notably in what climate scientists describe as "ghost forests," the bony remains of inundated forest islands that 30 years ago were lush with cabbage palms and red cedars. In some places, the grassy black needlerush of the salt marsh almost completely shrouds the old tree stumps. "The Withlachoochee Gulf Preserve and the area around Yankeetown is perhaps the best place in the world to see the effects of sea-level rise," said Jack Putz, a University of Florida forest ecologist who has worked in the area for nearly three decades. "You go from forest to salt marsh to mud flats and sea grass to open Gulf water all in the space of a mile, and it's just a spectacular kind of place to see the whole process." Today Yankeetown’s moss-draped oaks shade tidy homes, some of them tin-roofed cottages as old as the town itself. The population dwindles during the summer to maybe 200, when locals flee temperatures in excess of 90 degrees and head north for cooler air. Yankeetown and its surrounding communities are politically conservative today, with 66 percent of Levy County voters supporting President Donald Trump in 2016. Yankeetown’s only restaurant is the Blackwater Grill, across the street from the city hall and an adjoining volunteer fire station housing a single shiny red truck. The closest grocery store is about 12 miles away in Crystal River, best known for its 41-year-old nuclear power plant and as the place where tourists can swim with manatees. Across the country, coastal communities are considering how to protect essential infrastructure from sea-level rise and climate change. In Florida, Gov. Rick Scott, a Republican who is challenging incumbent Democratic Sen. Bill Nelson this year, has doubted whether rising tides and more extreme weather events are threats, questioned whether human activity is speeding the Earth's warming, and banned terms such as "climate change" and “global warming” from use in state reports and communications, as the Florida Center for Investigative Reporting revealed in 2015. The Sunshine State’s policy of denial has led to a lack of leadership on the impact of climate change and left communities on their own as they confront the dangers and infrastructure costs associated with more regular flooding and saltwater intrusion into underground drinking water supplies. 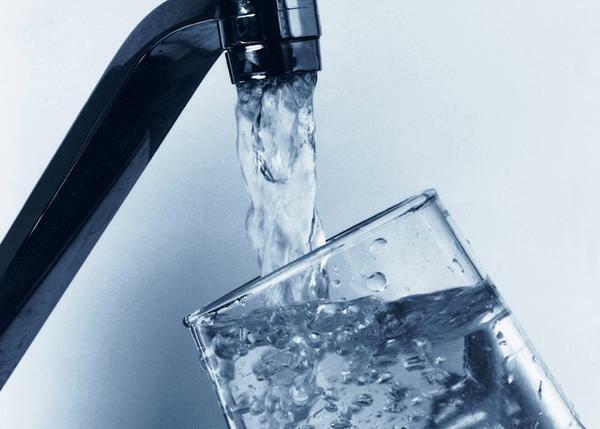 Metropolitan areas such as Fort Lauderdale and Miami Beach are installing pumps and raising roads, but small communities lack the resources and political clout for such measures. Some such as Satellite Beach, on Florida’s east coast near Kennedy Space Center, are considering changes to building and zoning regulations. Yankeetown has chosen a different -- and unprecedented -- approach, focusing instead on the natural environment as an economic engine and natural protector against higher water and more extreme weather. 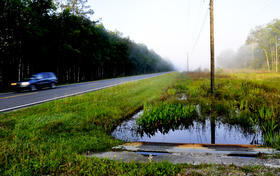 The town has applied a 2011 state law designed to protect vulnerable infrastructure to natural resources such as the Withlacoochee Gulf Preserve and its salt marsh. "This little town on the Gulf coast of Florida was one of the first in the country to develop such a detailed approach for dealing with the inevitable, of sea level rise,” Putz said, adding: “It's remarkable that a small town is leading the charge." 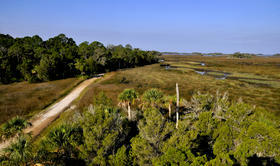 Few coastal regions in the United States are as undeveloped as Yankeetown and its surroundings. Protected lands such as the Withlacoochee Gulf Preserve have supported groundbreaking studies on the natural environment by the University of Florida, Nature Conservancy and others, resulting in some of the longest-running climate change research anywhere. It all began in the early 1990s when Putz received a call from a distraught Yankeetown landowner about his sabal palms, which were dying. The sabal palm is the Florida state tree, a hardy survivor of drought, high winds, severe cold and some flooding. Putz agreed to take a look. When he visited, Putz could see the die-off extended to other tree species. A flyover on a Florida Forest Service helicopter confirmed what he feared: "Massive tree death." "It was concentrated on the edges of contiguous forest, many of which were near the sea but some of which were quite far inland," Putz recalled. What Putz saw was astounding. Rising seas were drowning the trees. The forests were retreating as the salt marsh migrated inland. Sensing the changes underway and the interest of researchers, Yankeetown residents held a series of community meetings and public hearings. In 2016, they added an amendment to the town's comprehensive plan establishing a nearly 18-square-mile area, 86 percent of the town, as a so-called natural resources adaptation action area, aimed at protecting their natural environment. The referendum passed overwhelmingly. 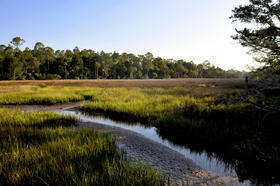 The designation of an adaptation action area is authorized under a state measure approved in 2011, after Scott took office and overhauled Florida's growth management policy. Conservationists and planners derided many of the changes at the time as the law reorganized the Department of Community Affairs into the new Department of Economic Opportunity, which reduced state oversight of local planning. The measure also eliminated provisions aimed at curbing greenhouse gas emissions approved only a few years earlier, but it added an option for local governments to account for sea-level rise and climate change by designating adaptation action areas. 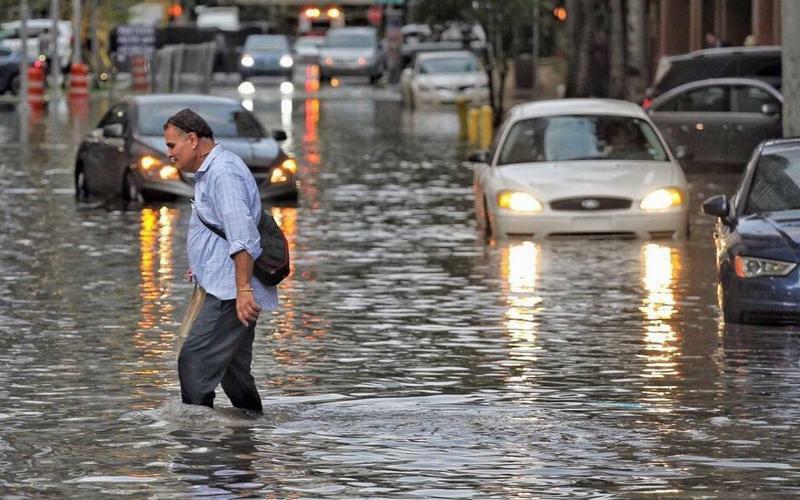 These designated areas, promoted by Miami-Dade, Broward, Palm Beach and Monroe counties as part of the Southeast Florida Regional Climate Change Compact, can help local governments shape growth and development in ways that are more resilient to the effects of sea-level rise. While these areas were first conceived to protect and prioritize funding for critical infrastructure, such as power plants, pumping stations and roads, Yankeetown has used the designation to protect natural habitats that can provide a measure of protection from rising tides. Florida is the first state in the nation to put adaptation action areas into law, following a failed push at the federal level that would have focused funding on vulnerable areas. Had Congress appropriated federal funds, Florida would have been first in line for money. 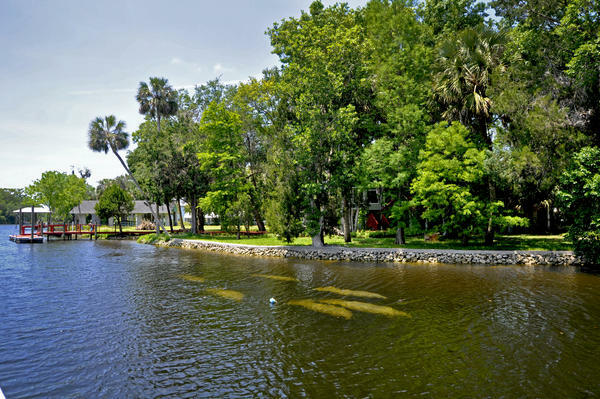 Yankeetown is one of at least six local governments to designate adaptation action areas. 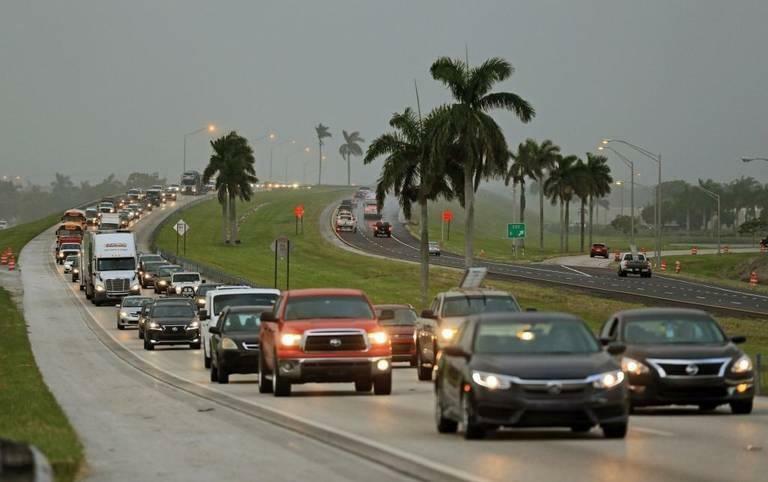 The others include Broward County, Fernandina Beach, Pinecrest, Satellite Beach and Fort Lauderdale, all of which have used the designation to focus funding on infrastructure to mitigate flooding. The designation does not make way for state money. Rather, it is meant to be a planning tool to help local governments prioritize funding for projects that lessen threats associated with sea-level rise. "Yankeetown is definitely the first one to focus the idea of an adaptation action area on natural resources as opposed to built infrastructure," said Thomas Ruppert, a coastal planning specialist for Florida Sea Grant, a research organization at the University of Florida. Yankeetown’s goal is to preserve natural resources by giving them space to evolve as the world warms, without the impediments of sea walls or development right at the edge. By doing so, natural protections can be fortified, such as oyster reefs that buffer against sea-level rise, cleanse water and are important economically to the area as well. The town also is left with room to migrate to higher ground if necessary. "We wanted to protect the environment and allow it to evolve as things change and not be in the way of it," said Larry Feldhusen, mayor when the town established its natural resources adaptation action area. Yankeetown’s efforts come in the absence of meaningful state leadership on climate change. Throughout his two terms as governor, Scott has been unwilling to acknowledge climate change as a threat to the state. After touring damage from Hurricane Irma in the hard-hit Florida Keys in 2017, the governor said, "Clearly our environment changes all the time, and whether that's cycles we're going through or whether that's man-made, I wouldn't be able to tell you which one it is." Nine months later, hurricane-related insurance claims in the state were estimated at nearly $10 billion. Hurricane Andrew in 1992, by comparison, caused some $20.5 billion in inflation-adjusted losses. Local governments grappling with the realities of sea-level rise and climate change need more help than they receive from the state government, Ruppert said. "Since the current administration (took office), there has been a lot less focus on climate change," Ruppert said. "For more of the planning work, there hasn't been much leadership." Yankeetown sits five feet above sea level. When Hurricane Hermine in 2016 pushed the tide at Cedar Key to six feet, the highest on record since the gauge was installed a century ago, some 30 homes flooded, including Feldhusen's. "It's kind of devastating, you might say," said Feldhusen, a retired airline pilot who has lived with his wife Christine in the home for 15 years. "It can be pretty trying." More than two feet of water flowed into the white stucco home with a boat house and 17-foot Boston Whaler out back. The flooding destroyed appliances, cabinets, furniture and sheetrock in the home on a canal of the Withlacoochee River. "It was basically three weeks of every day being involved in trying to clean out the house, and of course you have to arrange for temporary living somewhere else," he said. "After several moppings and disinfecting, you finally get to where you can go into the house, and you've dried it out and it's clean to be in. And that takes days and days and days." Sea-level rise of a meter, or about 40 inches, by 2100 would convert nearly all of the town's dry land, including developed areas, into regularly flooded marsh. More extreme weather events such as hurricanes also are a threat. Nearly two years after Hermine, the Feldhusens' home remains in disrepair. Their flood insurance requires that if more than half of the structure is damaged, the entire home must be brought up to current building codes. Among other major changes, the couple must put the home on stilts at least 10 feet high. The costs, altogether estimated at $180,000, could force them from their home. The Feldhusens likely will remain in the area because they like it here, but even after the planning he oversaw as mayor, he can't say whether storms like Hermine are related to climate change. The hurricane was a Category 1 when it made landfall in the Florida Panhandle. "Having lived in Florida all my life, I've seen hurricanes come, and some years you'll have a pretty substantial hurricane or two, and then other years you'll go by without any hurricanes affecting you. … I don't think we've got the data to say, 'Yep, these storms are definitely related to climate change,' " he said. "The climate has been changing since long before global warming and climate change became popular subjects." Many in Yankeetown have similar doubts. "I can't say I spend a lot of time delving into it," said Jack Schofield, the town's current mayor who says he worries more about the economy and public safety. "Personally I think it's cyclical, but I'm not a scientist." Tropical storm activity in the Atlantic Ocean and Gulf of Mexico has increased during the past 20 years, and scientists link storm intensity to warmer waters. The paradox underscores a deep commitment to the natural environment here as the town, like many others along the coasts, faces an uncertain future in a warming world. "Given the elevation of Yankeetown and other coastal towns all along the coast, they are going to have to move. It will no longer be viable to live there. There will be places where society is willing to spend extraordinary amounts of money to prolong the life and place of coastal communities, but Yankeetown is not one of them," said Putz of the University of Florida. "But I have hopes that the people of Yankeetown, in anticipation of these inevitable changes, are going to adapt in ways that are less disruptive, and I hope that the community spirit is retained as people have to move out of the lowest-lying areas." 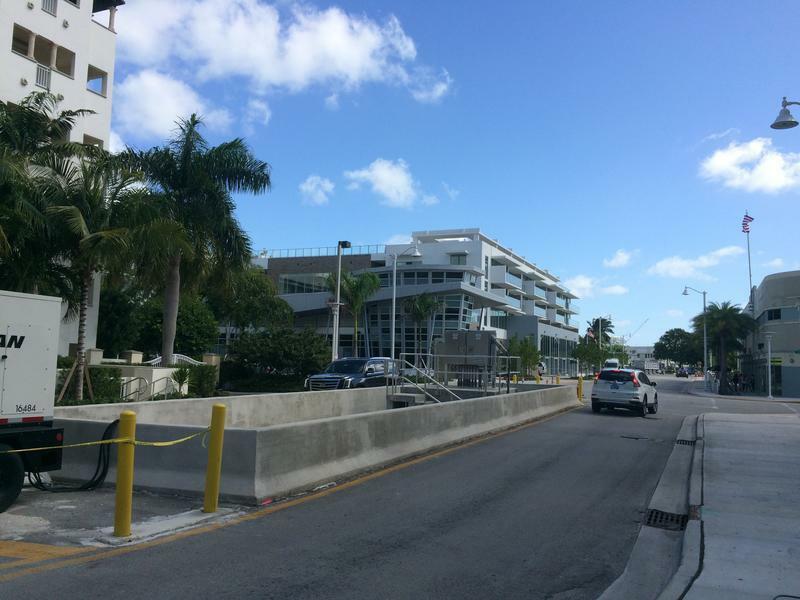 If current sea-level rise trends continue, the ocean that makes many South Florida cities desirable places to live may become an existential threat. Most business owners in South and Central Florida think renewable energy makes economic sense, according to a recent survey from the Environmental Defense Fund. The non-profit polled 1,200 business leaders and residents from South Florida and along the I-4 corridor in the central part of the state. Two-thirds of respondents said getting energy from sources like solar and wind is a smart business decision.